Coca-Cola has asserted its position on BPA so many times that it may be fearful of what will happen if it reverses. And it’s true, basically admitting they’ve been poisoning us all these years might not go over so well. But that still won’t make it any less true. BPA, an estrogen-mimicking chemical found in food and drink can linings, adhesives, and many plastics, has been repeatedly linked to breast cancer, early puberty, infertility, and other health problems. The stuff is really bad for you. And yet Coca-Cola, a company that sells more cans than almost anyone else, refuses to think about removing BPA from its linings. Now there’s one more thing to worry about when you drink that delicious chemical-filled sludge known as Coke (yes, we’re guilty, too). packaging business and takes its direction from regulatory agencies. What’s the science? Well, a recent study concluding that BPA is safe was recently discovered to have been written by researchers with strong ties to the chemical industry. You might think that a company that produces such feel-good products as Honest Tea and FUZE Healthy Infusions would at least consider the slew of not bought-and-paid-for BPA studies that have been released in recent years (and the fact that the substance has been banned in baby bottles in Europe, Canada, and even China, where the toothpaste can kill you)–but that doesn’t seem to be happening. matter what, where other companies we’re seeing recognize the risk. 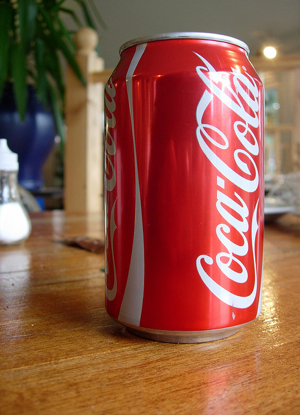 Coke is the only [company we talk to] that just says there is no risk whatsoever, the science you’re reading is wrong.” According to Passoff, companies that are paying attention to potential BPA hazards include Heinz, General Mills, and Hains Celestial, which are all launching BPA-free product lines. It’s possible that Coca-Cola has asserted its position on BPA so many times that it’s fearful of what will happen if it reverses. And it’s true, basically admitting they’ve been poisoning us all these years might not go over so well. But that still won’t make it any less true. regulatory action, and consumer backlash,” says Passoff. If BPA regulations are eventually passed in the U.S., Coke shareholders should hope that the company’s scientists–or its can manufacturer’s scientists–have secretly been slaving away at finding a decent alternative to its BPA-lined cans. Because if they haven’t, everyone’s favorite canned caffeine vendor (RIP Four Loko) will have to scramble pretty fast.